SOS — Stay Safe! is an innovative safety app for women, senior citizens and anyone who needs assistance in an urgent situation. It is designed to get help with minimal or unnoticeable effort. SOS – Stay Safe! is a powerful personal safety application that empowers one against acts of violence, and helps summon aid in an emergency. 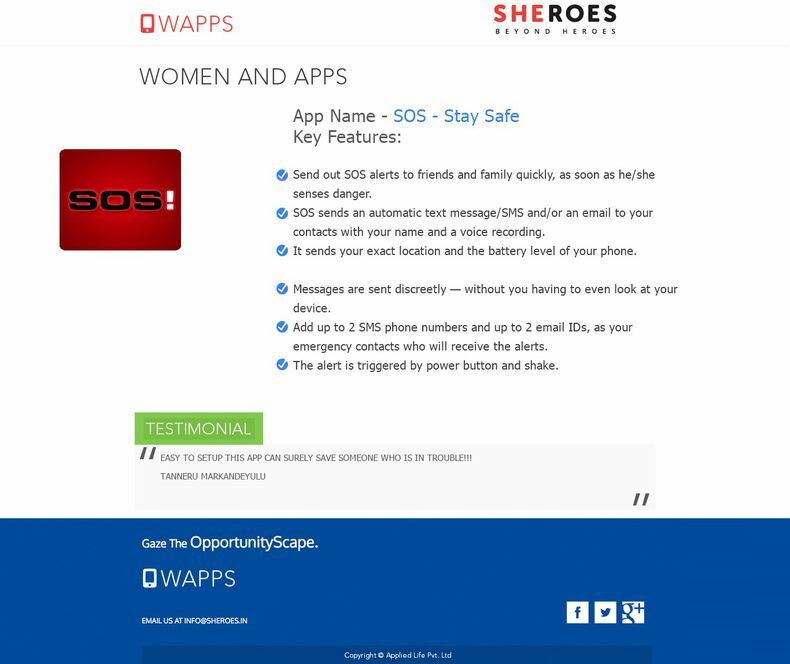 It lets one send out SOS alerts to friends and family quickly, as soon as he/she senses danger. How to trigger the alert? SOS – Stay Safe! is useful in a wide range of dangerous scenarios ranging from sexual harassment to heart failure.